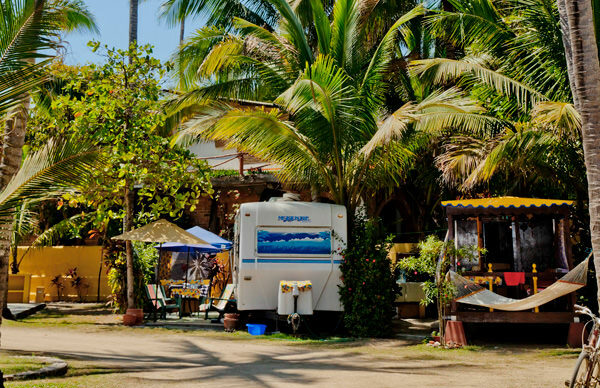 Sayulita’s most stylish people often spend their nights swaying in hammocks in coconut grove campgrounds, while more than a few of our scruffiest-looking citizens live in hilltop homes the size of a prince’s palace. You can choose your roost here, ten bucks a day or a thousand, seaborne breeze or air conditioning, and you will be welcome, cool, and comfortable. You will be at home in this charmed, inviting world. 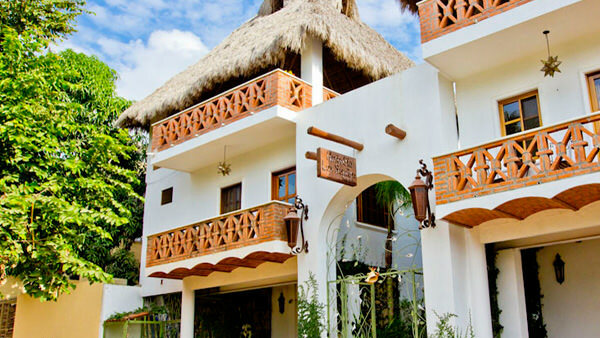 From one end of Sayulita to the other, and well beyond the city limits, there are places for rent by the day, week, or month. 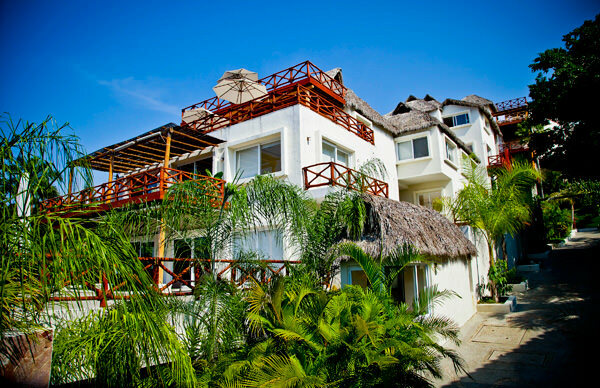 Try a beachfront, jungle-draped hideaway such as Hotel Playa Escondida; or a multi-bedroom hacienda on the north side of town, with the waves breaking a few yards beyond your swimming pool. 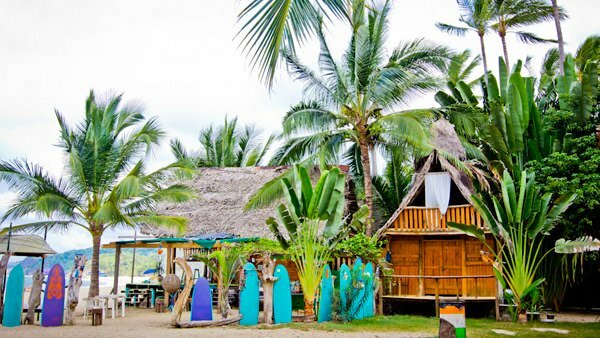 Downtown, chic small hotels such as Petit Hafa feature rooftop decks for tribal gatherings, while up the beach musicians and dancers gather round a fire at the campground or the trailer park, their sweet music celebrating another amazing Sayulita sunset. 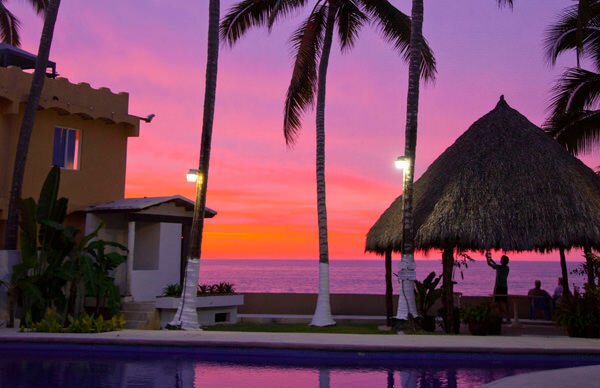 Climb a mountain to your hilltop rental home, and sunset will feel like it lasts forever. 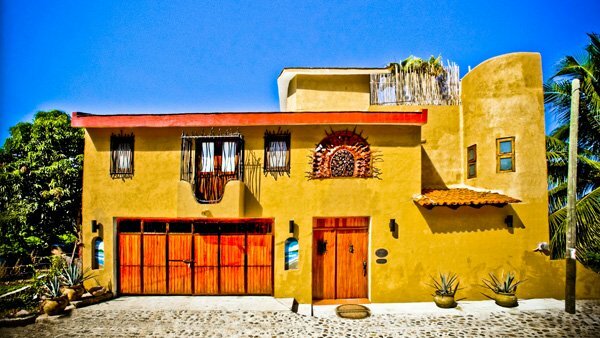 For a small town, Sayulita offers a wealth of lodging possibilities, and wherever you end up, you’ll most likely be enchanted.